On my recent trip to India I went to Mathura-Vrindavan. In Vrindavan we visited Nidhi Van, or Nikunj, the grove where the eternal dance with the divine, Raas, first took place on this very full moon night. 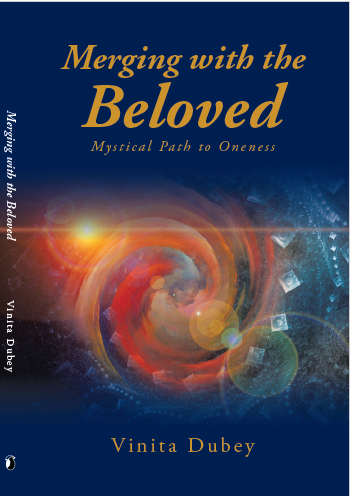 It is considered the most sacred place in terms of divine love, the epicenter of devotion. The Raas Leela of Krishna and the Gopis symbolizes the eternal cosmic celebration of creation and consciousness, the dance of duality. Krishna is consciousness and the Gopis are creation. The hundred and eight Gopis represent all the elements of creation (Tattva). The longing of the Gopis, the urge to merge with their beloved Krishna was like the gravitational force of the sun. I know, I feel it. So also the mind forever longs to merge back into the soul. 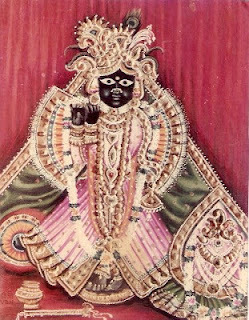 I long to be with Krishna night and day, I beg Him to come, there is no power within my being stronger than this urge. And the Gopis…they were with Krishna when He walked this earth! Even the Devis and Devatas were envious. Only in a human form can one experience the intoxication of devotion, what to talk of the Gopis would who were with their beloved! When Narayan danced here with the Gopis, it moved the entire cosmos to dance in rhythm. Such is the story of their divine play, Leela. Krishna was an Avatar of Narayan, the perfect manifestation of the conscious life force in the human nervous system. Vishnu is the sustaining force, to sustain human life and excel we need health, wealth, and prosperity. Lakshmi the spiritual consort of Narayan symbolizes this aspect. Radha-rani was the manifestation of Lakshmi and the consort of Krishna. In Vrindavan you won't find any idol of Krishna without Radha. Where ever there is Krishna, there is Radha. Radha was actually older than Krishna. Lakshmi is older than Narayan! Krishna was around nine years old at the time of the Raas Leela. Now this garden of love is an enclosed orchard of Kadamb trees. What was amazing is that the ground is dry and parched, yet the trees are full of healthy leaves. The garden is shrouded in mystery; no one is allowed to stay here after overnight. I was told that even the monkeys and birds leave at night. It is believed that Radha-Krishna and the Gopis still appear here and enact the Raas every night. There are stories of people who dared to stay overnight and became dumb, blind or insane the next morning because it’s beyond human capability to witness the proceedings of the night. A famous devotional saint Swami Haridas used to meditate here and sing to Krishn. It was here that his devotion invoked the apparition of Krishna. Swami Haridas asked Krishna not to leave, to forever give him darshan and so Krishna granted him an image of himself, the famous idol of Banke Bihari-ji or Kunj Bihari. Swami Haridas was a great devotee of Sri Krishna. He was also the Guru of Mian Tansen who was the famous singer in the court of Emperor Akbar. 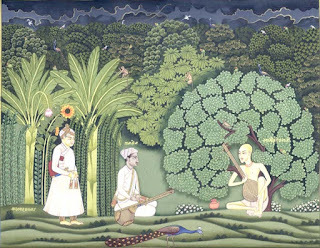 Akbar came in disguise with Tansen to hear Swami Haridas sing here in Vrindavan. When Swamiji sang to the Lord in ecstasy, going into a transcendental state, it was so divine and overpowering that even Akbar was swept away in the tidal wave of divine love. yes- i still remember my trip as a young teen to mathura vrindavan and feeling that love- the parched earth and the age old trees that almost appeared stunted and yet strong.